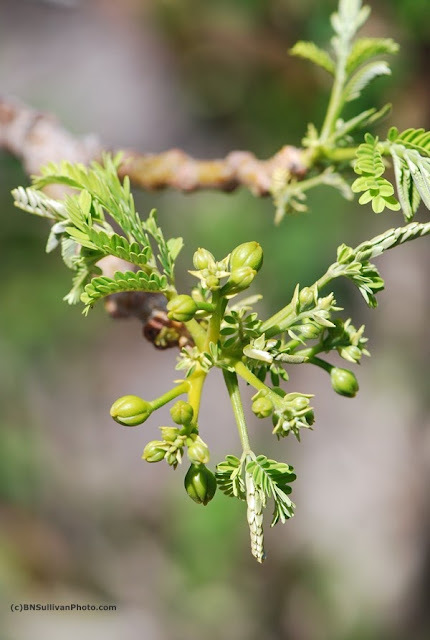 A few days ago when I was roaming around my garden, I was happy to see that one of our Royal Poinciana trees had many flower buds. These will turn into brilliant red blossoms very soon. When the blossoms appear, I'll post some pictures of them. The Royal Poinciana (Delonix regia) is native to Madagascar, but is very popular as an ornamental tree here in Hawaii. In addition to the brilliant blossoms, it also has lush foliage all summer, providing shade as well as beauty. DOF and view point is spot on, really helps to let the colours stand out. Hi 2Sweet - I will post a photo of the blossoms son. They're just about to pop!